It’s that time of year again when most people give up on their New Year’s Resolutions. Those good intentions for a fresh start at the beginning of 2019 have slowly waned as you’ve realized that carbs are delicious, it’s hard to find motivation for the gym after a long day of work, and that classic novel you promised to read is just too long – and let’s face it, you’d rather watch reruns of Parks & Rec anyway. Here at the Cardinal Institute, we made some New Year’s Resolutions of our own – and we aren’t giving up anytime soon! Among the many resolutions our executive director, Garrett Ballengee, laid out in our first blog post of the year, expanding education freedom in the Mountain State is our top priority. As momentum for education reform ramps up, we are hard at work educating people across West Virginia about the benefits of education choice – to both students AND teachers! 2019 is about taking the bold actions to radically transform the education system in West Virginia. Put mildly, leadership has decided it’s time to go big or go home. This is a transformational opportunity for West Virginia. I’m talking about a once in a generation opportunity to fundamentally alter the trajectory of our state’s future – namely that of West Virginia children, the very embodiment of our future. With that in mind, everything is on the table – charter schools, education savings accounts, mandatory open enrollment, teacher pay differentials for high-demand positions, and more! 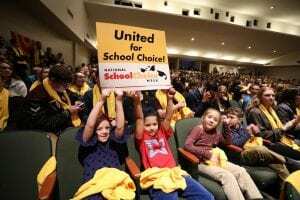 Here are a few things you should know about the Education Choice proposals that are on the table. Charter Schools have been a hot topic recently, but they aren’t the only form of school choice out there. They are a public alternative to traditional district schools that allow parents and students more opportunities than their assigned school could. Charter schools are publicly funded but receive less money per student than a traditional district school does. While there is the occasional for-profit charter school out there, the vast majority are run by non-profit groups and are focused on providing the best educational opportunities possible for students – not on lining their own pocket books. And despite concerns that charters only work in big metropolitan cities, there are many successful charter schools out there in BOTH urban and rural settings. Education Savings Accounts (ESA’s) are the latest innovation in education choice and allow parents the opportunity to customize their child’s education. 6 states currently have ESA programs which allow a portion of the state funding for education (not federal or local) to be placed in an account for parents to use in educating their child. This account would be overseen by the state and would have a variety of accountability mechanisms to ensure parents use the funds for designated education spending. In order to take advantage of an ESA, a parent would have to unenroll their child from the public school system. The remainder of the federal and local funds that would have been used for their child stays with their original public school. Open enrollment is another public choice option that allows parents an alternative to their child’s school that would normally be assigned by zip-code. Right now, West Virginia only has voluntary open enrollment. That means it is up to the individual schools and districts whether or not they will allow students to transfer between public schools. 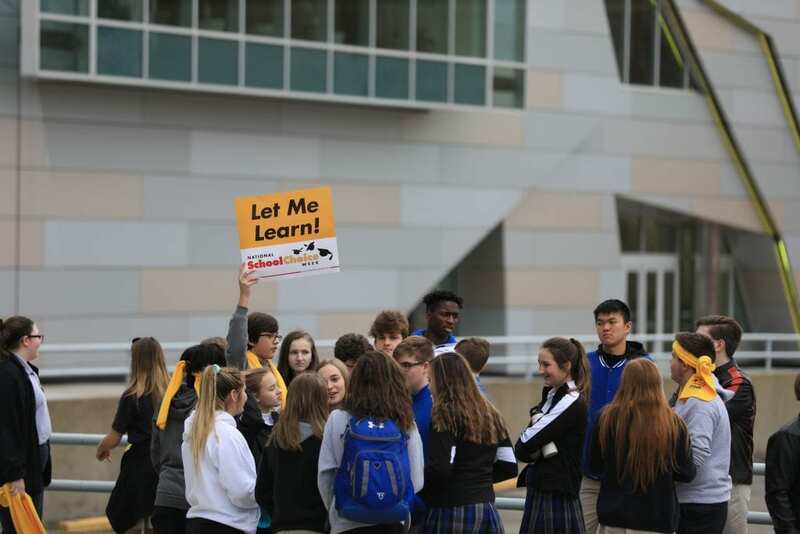 Mandatory open enrollment would mean that students wouldn’t have to seek specific permission to transfer between schools but would be allowed the option of going to any traditional public school. Teacher pay differentials sounds like a complicated thing. But, in reality, allowing for teacher pay differentials simply means that schools would be able to pay various teachers more based on the level of need they have for that specific position. For example, if there is a high need for qualified math teachers and a district is having a difficult time finding one, they would be able to offer a higher salary for math teachers than they normally would in order to attract good teachers. 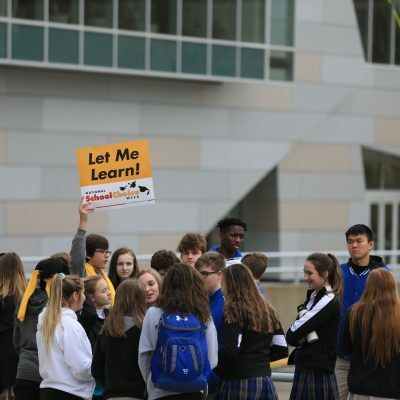 Education reform can seem a daunting task, and talk of expanding educational freedom in West Virginia has definitely pushed some peoples’ buttons. This issue is going to be a fight. Teachers unions and defenders of the status quo have already begun to launch their opposition to these reforms. Our suspicion … their voices will grow much louder – like last spring. The groundswell of support for reform is here and growing. We’re talking with legislators about why education reform is a winning proposition for the Mountain State. 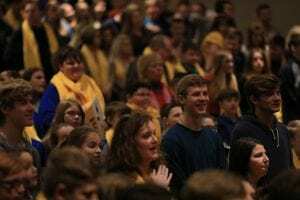 Through the efforts of our West Virginia Voices for Education Choices coalition, we joined 700+ students, teachers, and community members for a celebration at the new Charleston Coliseum and Convention Center on January 23rd during National School Choice Week. Now is NOT the time for failed New Year’s Resolutions. NOW is the time to double down on our efforts to bring about the education reform necessary to build a strong foundation for the West Virginia Miracle. Cardinal’s team will be hard at work at the Capitol reaching out to legislators to show them why we need expanded education freedom in the Mountain State. But, we can’t do this without YOU! If you are interested in helping our work to bring about education reform in West Virginia, please consider donating today. And if you can, please speak to your legislators and let them know why education choice would be good for you and your family!